Here I am, at what might be my last picture as a Mentor on a Help Island. Why? Linden Lab has just discontinued the Mentor Programme. 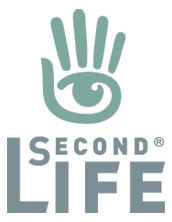 A shock to many of the 1,600 Mentors (down from a group that has once had up to 3,500 volunteers) that have been faithfully helping out new residents with their first steps in Second Life®. As of December 11, the Mentor group will be disbanded, and access to the Help Islands by former Mentors will be unallowed. Almost all islands and places where Mentors used to get in touch with each other, receive formal training in mentoring, or met with the VTeam for keeping in touch, will be closed down. Linden Lab’s VTeam itself will cease to exist. 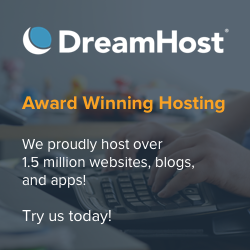 So newbies will be on their own, unless they have clicked on a Community Gateway. Tragic as this might seem for many, who have invested billions of hours over the past 6 years in aiding fellow residents, at the expense of many sleepless nights and prematurely greyed hair, this actually makes more sense than it seems. Linden Lab is not stopping people to help new residents. Instead, they’re encouraging members of the so-called Resident Help Network to form special groups to aid newbies to find their way around SL. These groups will have a certain amount of rules to be allowed to be formally recognised as helper groups and access the public Help Islands; any group of 50 or above will be able to join. Why the “split”? The reasoning seems to be quite simple. Bill Gates has once said that it’s impossible for one person to manage more than 35 other persons directly. Allegedly, Microsoft was hierarchically structured that way: from the very top to the lowest layer of the pyramid, all groups have around 35 people; “group leaders” will sit on the layer above, with other 34 group leaders, and so on, up to Steve Ballmer himself. If that is true or not, or if the organisation changed over time, I have no idea. Gates’ principle, though, is sound: a group of 35 people is managed “like a small company”, where everybody knows every other member personally and quite well, and information flows quickly to all team members. The Mentor group was simply too huge. There was no way to get all those Mentors properly informed, trained, or up to date — and no way to get feedback either. Only a tiny slice of them ever appeared on the regular VTeam meetings (I’m a typical case of a Mentor that only dropped by once or twice a year… but still spent a few hours every odd week or so on the Help Islands to greet new residents). Many never even knew about the multiple Mentor locations; or saw the VTeam blog (now discontinued); or got emails from the mailing list (there was a mailing list? Uh… I knew I was missing something!). The Lab’s new strategy is more rational. Instead of a tiny VTeam trying to herd a vast, unmanageable group, they’re encouraging smaller groups to form, and just meet with the leaders of those groups. That way, information flows quickly, and assuming that each group has, say, 50 members, and that all Mentors are split among them, this would mean meeting with just 32 people. More than room enough to get them all in a single sim every week! At a stroke, communication from LL to all volunteers, and vice-versa, becomes fully manageable again. So the plan actually does make a lot of sense, from a pure managerial perspective. Sadly, however, things are always distorted when they go public. The typical myth of the day is that M Linden hates Mentors and wants to kick them out of SL and replace them all by ‘bots. Or, well, there is a conspiracy claiming that Linden Lab truly doesn’t care about the first hour experience, and the best way to get rid of those useless newbies is to stop giving them any help. The more interesting theory is a bit more sensible, and suggests that Linden Lab is going to have future Mentor groups to pay for the privilege of being in touch with brand new residents — since allegedly (and I’ve read all kinds of allegations today!) this would be a way to sponsor ads for those companies, and LL wants a fair share of the proceedings. These are just a few of the mad theories floating around; I’m sure you can dust off your tin foil hat, wear it, and invent a few more of your own. At the end of the day, what matters is that LL is replacing an unmanageable group with a manageable solution. If Mentors feel that they’re being terribly mishandled by Linden Lab — who could have discussed this and presented it in a different way, as opposed to kicking out Mentors from the group and the islands — it’s because there is a strong emotional attachment to the feeling of being a Mentor and contributing to make Second Life a better place, and that somehow Linden Lab is simply not interested in that any longer. Well, rather the contrary. They just want the group to become manageable again. If their strategy will work or not, time will tell. In the mean time, I expect more and more Community Gateways to be set up, filling the void left by the disgruntled Mentors who feel abandoned and misused by LL. After all, the 2006-vintage Help Islands are completely obsolete in these days — they still assume that all users speak fluent English and aren’t really looking at the quality of content around them. 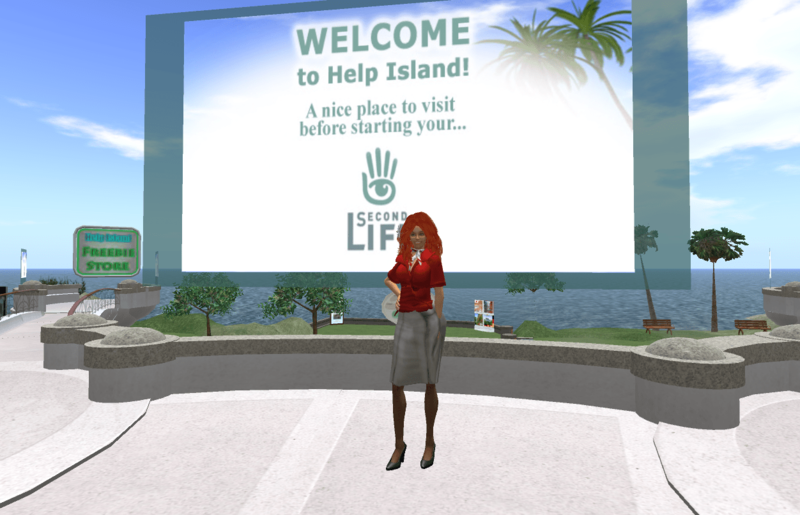 It’s simply not true: half of SL’s users don’t speak English, and the Help Islands might have worked in 2006, but they’re focusing on the wrong key points of SL — and nothing has changed much in the past 3 years or so. By pushing the initiative to these smaller groups and possibly encouraging more Community Gateways to pop up spontaneously, this might solve the first hour problem after all, but in a completely different way than we all had expected: by making sure that newbies avoid the Help Islands altogether, and are rezzed in the middle of a very friendly and helpful environment instead. Fortunately, there is a very simple way to figure out the success of the change in policy: just look at the statistics and see if with this new model we can keep more residents happy after their first hour.